I had always wanted to go abroad for my Midwifery elective. 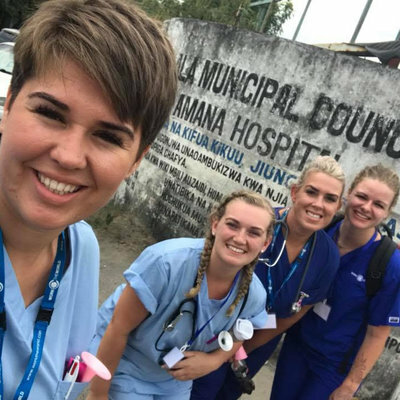 It was my chance to experience a completely different healthcare system, and to travel before starting full time employment upon my graduation. Arequipa, Peru immediately drew me in, and I was fascinated by the country’s history. 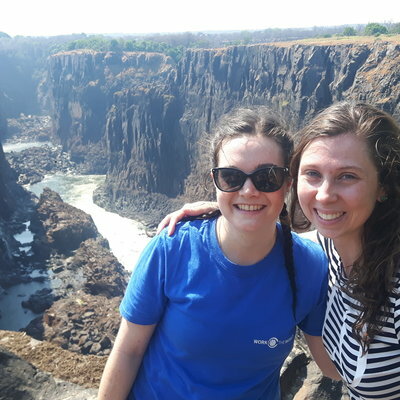 Work the World were the obvious choice, as they would organised the experience for me, and provide detailed placement plans within the best departments for my discipline. From the first phone call right after I signed up to the follow up call on my return to the UK, the team at Work the World were outstanding. Having access to MyTrip—Work the World’s online placement dashboard—was really useful. It broke down trip preparations into manageable sections such as when to book flights, what vaccinations were required, and travel insurance providers. MyTrip also showed photos of the house I’d be living in and information about the housemates I’d be living with. For someone doing an intensive healthcare degree, this took the stress out of organising my placement. The live trip countdown really added to the excitement in the lead up to my departure. Finally, the day of my departure arrived. My friend and I travelled to Peru via the United States and Peru’s capital, Lima. Arriving in Arequipa, we were met by a member of the Work the World team who, along with two other arrivals who would be my new housemates, accompanied us back to our home for the next few weeks. The journey from the airport to the house was interesting to say the least. If Arequipa has traffic rules, few people observe them! And the constant beeping of horns is something we quickly got used to. Sunday, the day we arrived, was a quiet day in the house; many of the people already living in the house were away on weekend trips. We took a tour of our living quarters and then underwent our scheduled welcome briefing from the wonderful Programme Manager. The afternoon went on, and we were welcomed by many of the other housemates as they arrived home. 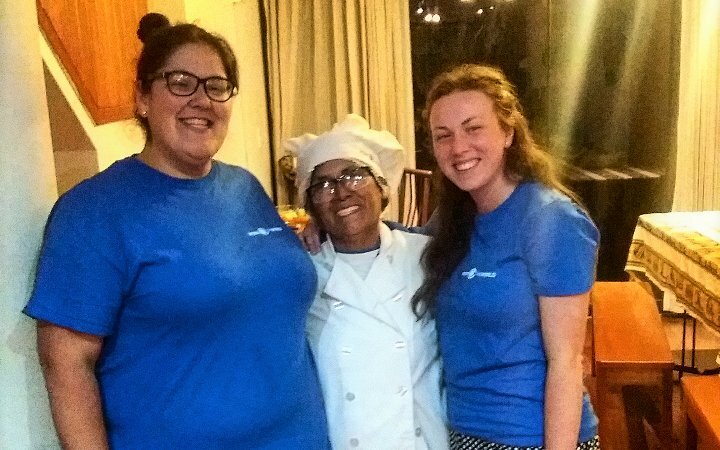 In the evening, we enjoyed a huge welcome meal cooked by the house chef. The Work the World house had a vibrant atmosphere with anywhere between 20 and 30 students studying a variety of healthcare courses. I lived with medical, radiography, nursing, pharmacy and physiotherapy students. My housemates were from many different countries, and it was brilliant to hear about healthcare in places like America, the Netherlands and Australia. The house itself was spacious and comfortable, and the rooftop terrace was perfect for relaxing and watching the sunset after a day on placement. The icing on the cake (and the cherry on top) were the weekly house BBQ’s followed by salsa lessons each week. The house had good WiFi and the kitchen was constantly stocked with food, and fresh fruit and water. Breakfast and evening meals were a great opportunity to catch up with friends about their day, as well as plan weekend adventures. Monday was my first day on placement. In some ways, it was similar to a UK birth centre, where low risk women go to give birth. 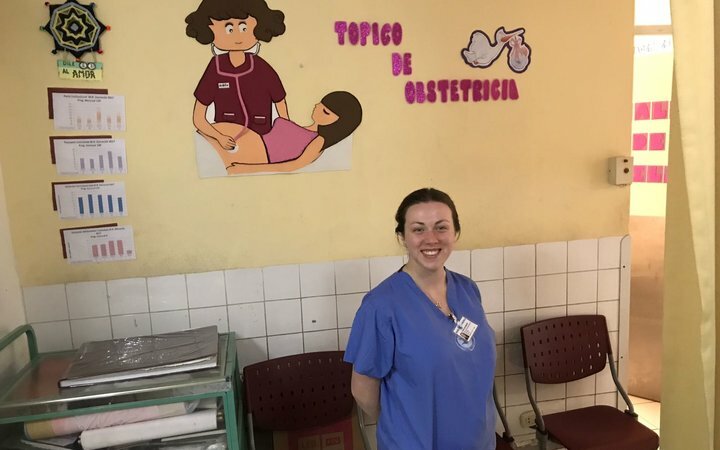 Despite lengthy and informative discussions with the Work the World team in the UK prior to my arrival in Peru, nothing could have prepared me for the stark differences between care here when compared with the UK. I witnessed my first Peruvian birth that morning. The woman birthed alone, men not being allowed to attend births in Peru. She was on her back and, as with most women, received an episiotomy. With 3 beds in the open delivery room, there was little privacy. The ‘obstetras’ (local equivalent of midwives) and obstetric doctors were friendly and happy for me to watch and ask questions. Local staff also enquired about midwifery practice back home, and were surprised by our use of pools, and standing and squatting positions. All of the women I came across in clinic were extraordinary. Their resilience during childbirth was amazing to observe. This was especially true when considering that practices in Peru differed greatly to that of the UK, some of which were difficult to accept. I remembered, however, that I was there to learn and not to judge. There were many positive aspects to the care provided, too. The obstetras use of natural methods to induce contractions were something we tend to forgo in the UK, in favour of medical intervention. There were few problems during labour, such as excessive bleeding or neonatal difficulties, and the women progressed quickly. One contrast to women’s experience giving birth in the UK was the lack of support from partners in the delivery room. Men in Arequipa paced the corridors of the clinic occasionally peering through windows to try and catch a glimpse of what was happening. The obstetras quickly shooed them away when they cottoned on. Birth, it seemed, was something only women were involved in. 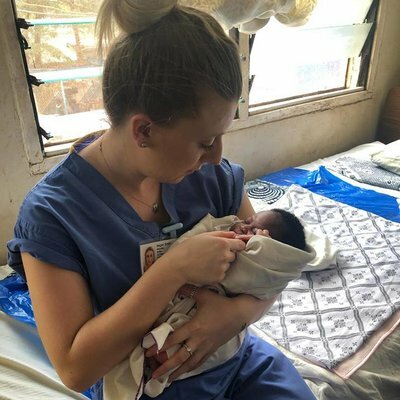 In terms of resource, women were required to provide all supplies for their postnatal stay; food, nappies and hygiene supplies were not supplied by the clinic. Once mothers-to-be were transferred to the postnatal ward, they were cared for by partners and families. I have a renewed appreciation for the abundant and sterile equipment we have back home in the UK. The swabs in Arequipa were packaged using old sterile glove packets and a member of staff wearing a pair of gloves. Sterile gloves would be used one at a time for examinations and left on the side until the next woman came in, sometimes hours later. Despite this, Peruvian sepsis and infection levels following birth were very low. It was great to see a high breastfeeding rate in Arequipa. I witnessed women breastfeeding very openly across the country, in cafes, the airport and even at the top of Machu Picchu! This may have been down to the open attitudes towards this way of feeding, the large amount of publicity in the form of posters around the clinic, and the lack of affordable formula milk and hygienic ways to prepare it. 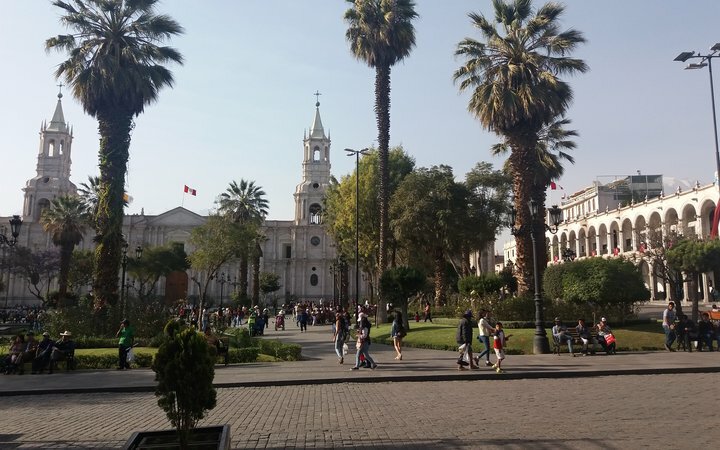 Arequipa was a beautiful city, with plenty of history along with modern Western conveniences, the former offering a visual stark contrast to the historical buildings they stood beside. The people were friendly and welcoming, and the city itself felt very safe. 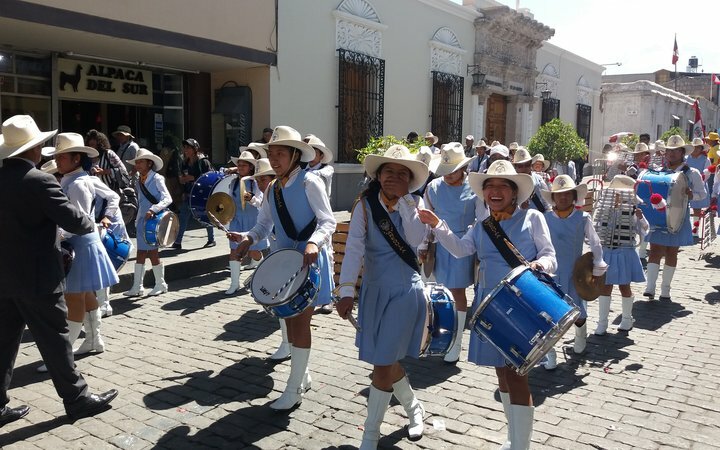 On my last day in the city, I attended the Arequipa Day Parade, which showed just how proud of their city the people of Arequipa were. 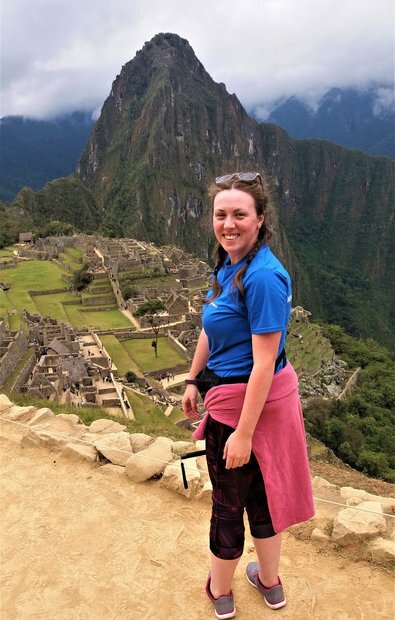 One weekend, my midwifery colleague and I travelled to Machu Picchu via an overnight bus and train. It was one of the best experiences of my life. Despite seeing photos and having some idea of what to expect at the summit, I was unprepared for the magnitude of the awesomeness of the scenery. It was breathtaking. I’ll admit it: I was a little emotional after such a long journey to get there. But even the three hour train journey from Cusco to Aguas Calientes had the most amazing views as the train travelled through farms, over river beds and through jungle forests. I would definitely recommend a trip to this sacred place for everyone visiting Peru. In the afternoons following placement, groups of us visited local attractions in Arequipa. The museum of the Ice Maiden ‘Juanita’, Chaqchao Chocolate factory, where we made our own chocolates, and Alpaca Mundo to name a few. Most housemates would head into the city on a Tuesday and Thursday evening for cocktails, bachata and salsa dance lessons, which was always a fun night. We met a lot of locals this way. Speaking of people, the things that will stay with me forever are the friendships I made with people from all across the world. The trips and activities wouldn’t have been half as fun without the amazing housemates I lived with. Some advice I would give to people thinking about undertaking elective placement abroad, would be to go for it. You will have the most amazing time and the experience will stay with you forever. I would also advise you to make the most of all the experiences in the country from going out in the evenings to joining together with housemates for weekend trips—these things really enhance your trip. 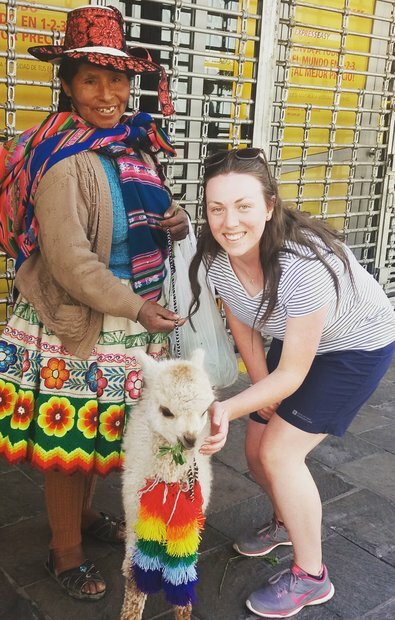 The trip was a once in a lifetime experience and I enjoyed every single second of being in Peru. I still think about my experience now with laughter, joy and amazement. I can’t believe I actually did it! Thank you, Work the World, for providing such an eye-opening, well-organised trip.